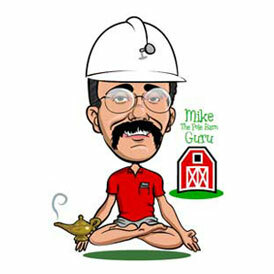 This is the third year the Pole Barn Guru blog has been in competition for the Best Construction Blog. Last year this blog was second in the world, tying for first in quality, however losing the popular vote. Part of this process is a review of each blog by Mark Buckshon of Construction Marketing Ideas (www.ConstructionMarketingIdeas.com). 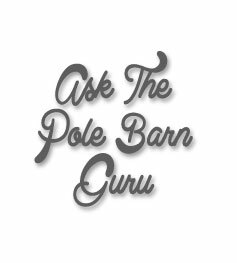 The Pole Barn Guru is currently leading in the 2018 Best Construction Blog’s popular vote and unless there is a surprising surge from supporters of another blog by the popular vote’s conclusion on March 31, this blog will probably earn the popular vote win status. There are reasons for this support — the blog combines depth and focus as a “go to” resource for post frame (pole barn) buildings; and it doesn’t avoid the challenges with these low-cost structures, often used for outdoor storage and as rural outbuildings. I’ve been reading some posts, for example, dealing with issues relating to condensation and insulation, some initiated by questions from outsiders — that is folks who have a pole barn structure not provided by Hansen. Rather than brushing off these external inquiries with a: “Hey, that’s not my problem” attitude, this blog provides some practical answers, even as it indicates the issues probably wouldn’t have been problems if they had been considered in the initial design and purchase. That educational aspect makes this blog truly worthy. I have a pre-existing pole building that I am having a ton of trouble with. It is partitioned into two rooms, the back room is heated to around 50F. The attic space/loft space has a lot of condensation and I cannot seem to get this fixed. I have tried a lot of solutions, none of which have worked. I know that you build these types of buildings so I am hoping that you can recommend someone who might be able to come in and look at this issue and help me with a solution that works. I have no idea what to do next and I am a local business owner – my business is at a standstill right now until I can get this issue fixed. If you can recommend any general contractor, or anyone who might have expertise in pole buildings who I can contact I would greatly appreciate it. Long time readers should be thoroughly drenched with solutions to condensation issues by now. As post frame construction has moved off farms and into suburbia, climate control has brought with it a plethora of condensation challenges. To control your condensation challenge you need to either remove warm moist air from inside your building, prevent this air from becoming in contact with surfaces at or below dew point, heat and/or ventilate. 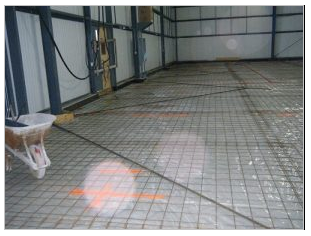 Here’s a brief summary, followed by solutions specific to your case: https://www.hansenpolebuildings.com/2019/02/how-to-reduce-condensation-in-post-frame-buildings/. If you do not have some sort of thermal break below your pole building’s roof steel – two inches of closed cell spray foam should be applied. This process will be best done by a professional installer. Make certain to not block ventilation intake and exhaust points. Vent any dead attic spaces. https://www.hansenpolebuildings.com/2018/03/adequate-eave-ridge-ventilation/. Heating your building to a temperature above dew point will also solve this issue. Avoid heating with propane, as it adds moisture to the air. This value translates to search engine effectiveness and of course a reputation for knowledge and service. 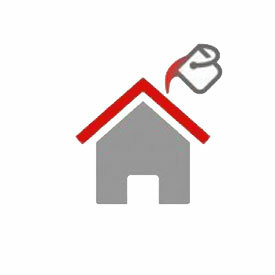 If you are thinking about purchasing a post frame structure, for example, I’m confident after reading through the relevant blog postings you’ll have the confidence to ask the right questions and share the site/usage observations to ensure that the structure serves its purpose and problems such as condensation or poor insulation don’t occur in the first place. This entry was posted in Uncategorized, Insulation, Pole Barn Questions, Pole Barn Design, About The Pole Barn Guru, Pole Barn Planning, Pole Barn Structure, Ventilation and tagged vapor barrier, condensation, Ventilation, pole barn condensation, Construction Marketing Ideas, dead attic space, closed cell foam insulation, closed cell spray foam on April 10, 2019 by admin. 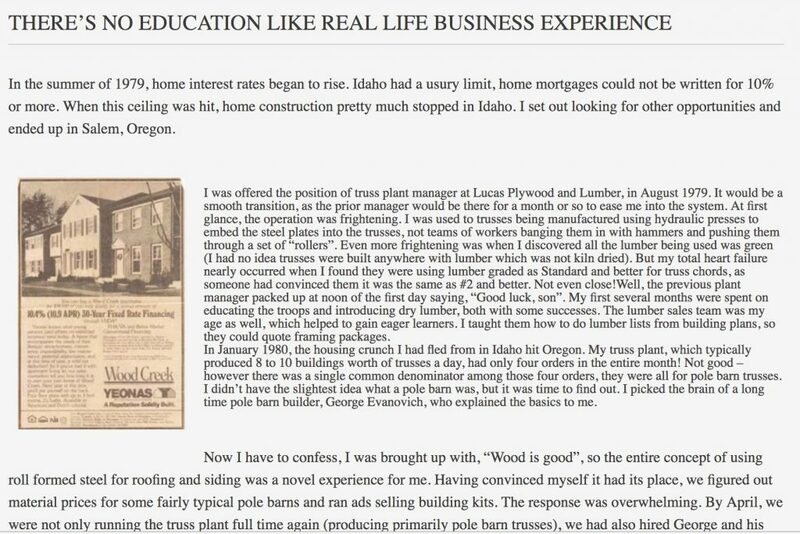 For certain I know in my heart of hearts this blog is absolutely the best in the post frame (pole barn) building industry….no one, I repeat no one has penned over 1400 articles and answered over 2300 questions from readers in post frame building blogs, like I have. Time to take it to another level. This blog is one of only 17 world-wide to have been nominated and accepted as candidates for the 2018 Best Construction Blog competition. This is ALL facets of the construction industry, not just our little niche of post frame. 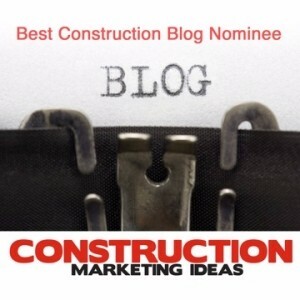 The best construction blog finalist is decided by a combination of popular vote and independent judging. This allows a fairer competition. The popular vote determines the short-list for the judging panel. While judges are free to consider all entries, they generally focus on the top six or seven bloggers. This is where you, gentle reader, get to play a part in my success, or lack thereof. My goal has always been to be the fusion of entertainment and enlightenment. Hopefully my stories have combined enough wit and wisdoms to keep you coming back for more over the years. If you have enjoyed my musings, I would encourage you (and please your friends, neighbors, relatives and co-workers as well) to go to: https://constructionmarketingideas.com/voting-starts-for-2018-best-construction-blog-competition/ and cast your vote for this blog POLE BARN GURU (it is the 14th one from the top as they are listed alphabetically). Make sure to uncheck the boxes in front of any other blog. Don’t be shy about helping this go viral – it needs enough votes to get it into the top few who will be independently judged. 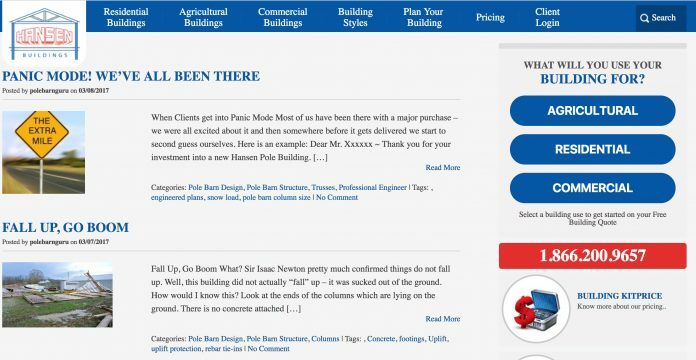 This entry was posted in About The Pole Barn Guru and tagged Post-Frame, Construction Marketing Ideas, fastest pole building on February 14, 2018 by admin. I’m a seat of the pants journalist – my training was as editor of the Post Falls High School newspaper back in 1975! This blog is one of several finalists in the 2017 Best Construction Blog competition. In the event you have been entertained or have learned from my articles, your vote would be appreciated at: https://constructionmarketingideas.com/the-pole-barn-guru-blog-how-to-combine-business-and-technical-insights/ (scroll to bottom of page). 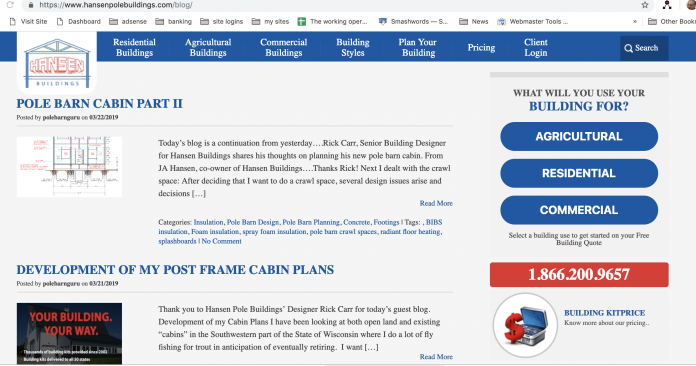 Mike Momb‘s Pole Barn Guru blog for Hansen Pole Buildings, LLC demonstrates how a business can combine marketing, technical support, and business insights into an effective blog. This Minnesota-based business specializes in prefabricated kits for “pole buildings,” which can economically serve as barns, garages, storage sheds, and even homes. It just takes a few weeks from order to delivery — the website offers several standard models for shipping, and a custom-design ordering service. Blog topics include follow-up customer service reports, technical question answers, and some business insights and history. I especially enjoyed reading Momb’s description of how he got the business started in the early 80s just as the major Reaganomics recession at least temporarily virtually ground the housing business to a halt (when interest rates soared above 20 per cent). 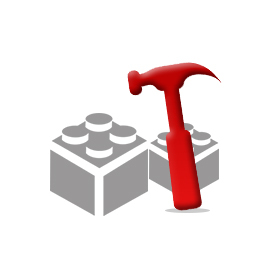 This post describes how Mike Momb started the business from scratch. With my final paycheck, I was able to pay our family bills current and had $50 left over. The local “free advertising” paper would allow me 3 weeks of credit, if I paid for the first week’s ad up front. I decided I couldn’t do any worse than the people I had worked for, and right then decided I was going into the pole barn kit business. Now granted, I had no business location, no inventory, no truck, no anything….all I had was an ad in the local free newspaper! The first week I sold three buildings, got down payments from the clients and… I was in business! One of my friends was in real estate and located six acres of highway frontage on Highway 99E just north of Canby, Oregon which could be rented reasonably. Paying first and last month’s rent, I now had a place. The Chevrolet dealership had ordered a lumber delivery truck for the local yard, who had not taken delivery on it. With a small down, they got me financed on the balance and I could deliver. M&W Building Supply Company was a reality! This entry has had more than 50,000 views to date. The top post (with more than 100,000 views) is Pole Barn Truss Spacing. A recent post describes an interaction with a client concerned about the building’s capacity for load bearing and wind. in Panic Mode, We’ve All Been There, Momb provides clarity in explaining the standards and that the building will meet the requirements — but if the purchaser wants to pay more, the higher load factors could be accommodated for an upgrade fee. What I like here about this example is how he takes a real situation that may apply to others and demonstrates thoughtful and comprehensive research and knowledge in answering the questions. Overall, this blog does what it should: I’m sure certain entries/posts have good search engine traction; leading potential clients to the company to begin the relationship. And if you already are a client, the blog reassures you of the business’s values, traditions, and service focus. 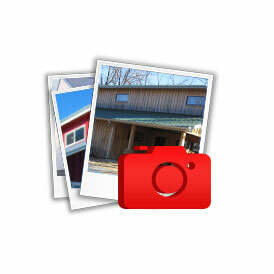 You can vote for The Pole Barn Guru blog and others of your choice on the ballot below. Voting concludes March 31. This entry was posted in About The Pole Barn Guru and tagged Mike the Pole Barn Guru, Mark Buckshon, Construction Marketing Ideas, M & W Building Supply, pole barn truss spacing on March 10, 2017 by admin.